Dr. Bunyaviroch accepts the following list of insurance providers. Select your insurance provider to see more details. I am a nuclear radiologist with experience and expertise in PET/CT, nuclear medicine and therapy, and body imaging. I appreciate that every person with cancer is unique and has specific needs not only for their ailments, but for their overall well-being. 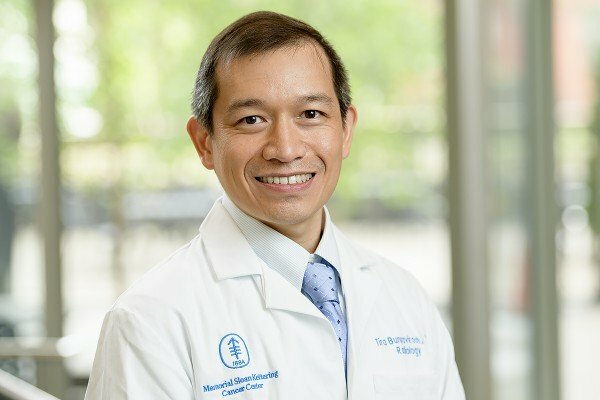 Based primarily at MSK Bergen, I am part of a close-knit team of medical, radiation, and surgical oncologists who are focused on providing comprehensive cancer treatment for our patients. Before joining Memorial Sloan Kettering, I worked for many years in the community outpatient setting affiliated with a major academic medical center. I experienced the importance of caring for patients as individuals. Although we use the same machines to image patients, not all patients can be imaged the same way and not all diseases show up in the same manner. At MSK Bergen, my colleagues and I work to treat each patient in a unique and personalized way. Through my career, I have seen and used many new PET radiotracers to image specific cancers. These are agents used to highlight diseases and help them appear in images. My clinical research is focused on searching for and providing the best tools to diagnose and treat each patient. Visit PubMed for a full listing of Dr. Bunyaviroch’s journal articles. Pubmed is an online index of research papers and other articles from the US National Library of Medicine and the National Institutes of Health.